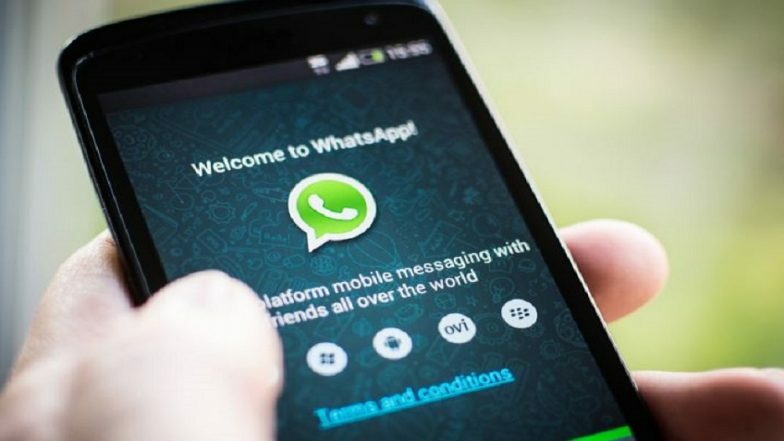 New Delhi, April 7: In a bid to minimize fake news on its platform, WhatsApp is now testing a new feature within its Groups Settings to help users stop sending "Frequently Forwarded" messages. The Facebook-owned platform is already working on two features that will help its over 1.5 billion users know how many times a message has been forwarded. The option will be available in Group Settings and only administrators can see and edit it. WhatsApp 'Checkpoint Tipline' of No Use to Detect Fake News For 2019 Lok Sabha Elections. When the feature is enabled, nobody will be able to send a Frequently Forwarded message in the group. A user can copy the Frequently Forwarded message and send it as a new message but this will slow the process. WhatsApp, Facebook & Instagram Will Not Work on These Phones From April 30; Is Your Smartphone On The List? A message is Frequently Forwarded when it has been forwarded more than four times. Currently, WhatsApp has limited the forwards to a maximum of five in India.